-Applicants must be in active treatment for breast cancer (infusion chemotherapy, radiation or scheduled breast surgery) at the time a completed application is submitted. -An applicant’s active treatment status must be confirmed directly by the applicant’s oncologist. Contact information for the applicant’s oncologist must be included in the completed application. Note: If Provision Project is unable to confirm an applicant’s treatment in time for monthly distribution of funds, the application will be rejected. -Provision Project only accepts applications from the 1st through the 10th of each month. -Only online applications will be accepted. If a complete application is not received by the 10th of the month, the applicant will need to submit completed application during the 1st through 10th of the following month if they are still in active treatment. Provision Project’s ability to fund an application is based on donations received. If there is a lack of funds available during the month a completed application is received, then the applicant can reapply the following month if they are still in active treatment. -An incomplete application will not be processed and cannot be resubmitted during the same month. Applicant will receive notice of an incomplete application by the 25th of the month and can submit a completed application during the 1st through 10th of the following month if they are still in treatment. -Provision Project provides funding on behalf of an approved applicant directly to the third party to whom monies are owed in the form of a check. No checks will be issued directly to applicant for any reason. 2. 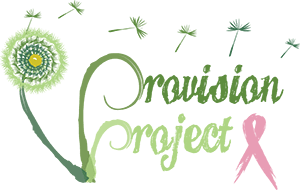 Provision Project is unable to confirm that the applicant is in current treatment for breast cancer with their oncologist. 3. Application is not received during the 1st – 10th of the month in which funding is distributed. 4. Funds are unavailable during the month in which application is received. Questions about funding should be sent to Michelle LaLonde.